Recommended : The ASUS ZenFone 3 Zoom – iPhone 7 Plus Killer At Half The Price! The ZenFone 3 Portrait Mode works by using the ZenFone 3 Zoom‘s two cameras simultaneously to calculate portions of the photo that should be blurred out for that bokeh effect. The blur effect can be changed in real time via a slider in the new Portrait Mode interface. This type of “software bokeh” effect is not new. Other smartphones have introduced similar camera modes like “Bokeh” or “Subject Focus” but most of them either use the second camera as a dedicated “depth sensor”, or use software to blur out the background. Other ASUS ZenFone models also have the similar Depth of Field Mode that creates a similar effect, but it requires multiple shots, which means you’re limited to still objects. The new ZenFone 3 Zoom Portrait Mode differs from those methods though. It makes use of the dual cameras to simultaneously shoot two photos – the 59 mm lens focusing on the subject, while the 25 mm lens takes the background. Using the depth information from the two photos, the depth of field can be made shallower or deeper depending on the f-stop you wish to simulate (from f/0.95 to f/22). While this is still a software bokeh effect, it should result in a far more accurate and realistic blurring of the background. You may recall that the traditional software bokeh can inadvertently blur the wrong parts of the picture. Using both lenses simultaneously should eliminate that problem, and allow the bokeh effect to be applied even to moving objects. The new interface – when opening the camera for the first time since the update, you’ll notice some subtle changes in the UI. Gone is the dedicated switch to Manual Mode (though you can always just tap the Modes button and switch from there) and is now replaced with a Portrait Mode button, which you can tap to switch. When you open the ZenFone 3 Zoom‘s camera for the first time after installing the update, you’ll notice that the Manual Mode button is gone, replaced by a Portrait Mode button. The Manual Mode is now accessible via the Modes button. 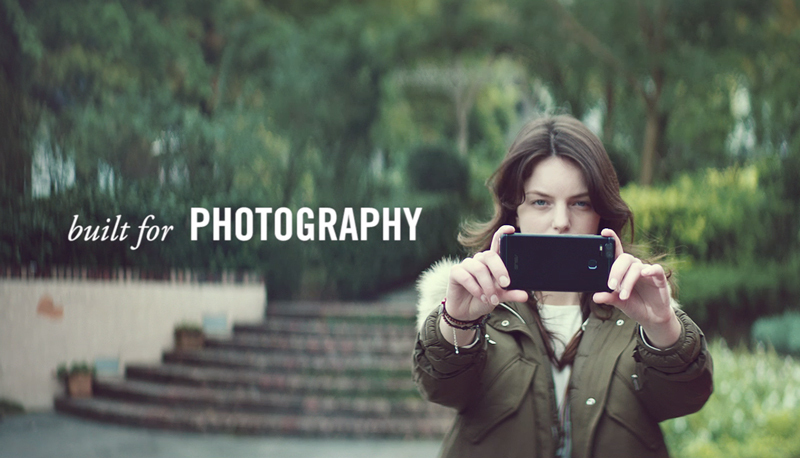 Once you switch to Portrait Mode, an f-stop slider will appear. The slider allows you to adjust the virtual depth-of-field, which will determine where and how much of the bokeh effect is applied. When you take the photo, the ZenFone 3 Zoom will take two photos – the main camera with f/1.7 lens takes a photo of the background, while the secondary camera with f/2.8 lens takes a photo of the subject. Your f-stop setting will be applied to the final image using the depth information from the two photos. Try out the new ASUS ZenFone 3 Zoom Portrait Mode and let us know how it works for you! We took the opportunity during the ASUS ZenFone AR launch to take photos of these models to demonstrate the ZenFone 3 Zoom Portrait Mode effect. Previous : What’s In The Huge ASUS ZenFone 3 Zoom Nougat Update?